When qualifying for a USDA Rural Housing Loan, credit scores are a highly important component. Before reading further though, understand that in order to get approved for a USDA Loan an underwriter reviews credit score, credit history, job history, income (along with debt-to-income ratio), and any required assets for covering closing costs. 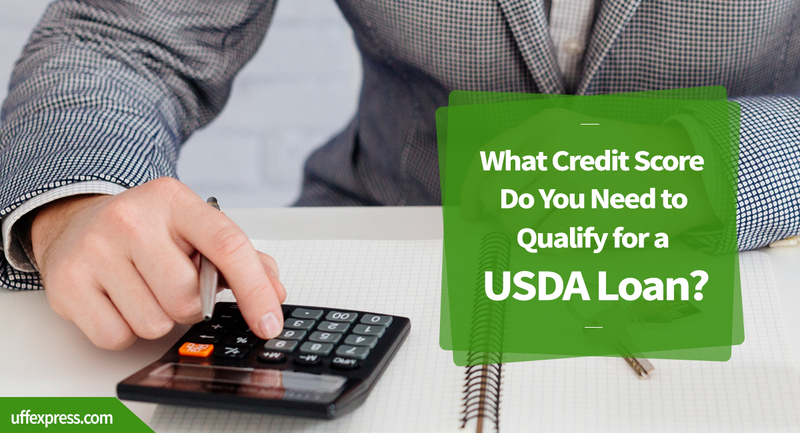 So, qualifying for a USDA Loan isn’t all about credit scores but having a solid credit score is one of the many boxes that have to be checked off in order to qualify. In our article below we dive into the credit score you ideally need for a USDA Loan. Like the VA Loan Program, the USDA Loan does not have a stated minimum credit score in order to be eligible. That being said, most lenders throughout the nation require a 640 credit score to approve a USDA Loan. 640 is the ‘magic’ number because it’s the credit score needed in order to get an approval through USDA’s automated underwriting system called GUS. GUS is the USDA Loan’s Guaranteed Underwriting System. The USDA Loan program does allow for a borrower to get approved even if the credit score is below 640. In these instances, the lender must manually underwrite the loan as it cannot go through USDA’s GUS system. Reserves (cash left after closing) in checking, savings or in retirement accounts such as a 401(k) or IRA. Generally, these reserves need to amount to 4-6 months of your new mortgage payment. Credit scores are tricky and can be a confusing subject for many borrowers. Understanding how credit scores are calculated is very important, because the higher your credit, the better rate you will get and the more likely you are to get your USDA Loan approved. Payment History (35%) – missing a payment crushes your credit score and the only way to recover from it is to get further removed from that late pay. Make your payments on time and you’ll help your credit score. Credit Utilization (30%) – this is the most misunderstood component of the credit score calculation. FICO cares about how much of your credit card balance you use every month. They want to see your credit balance be consistently less than 30% of your credit card limit. So maxed out credit cards, or cards with high balances will consistently hurt your credit score (even if you make your payments on time). Length of credit history (15%) – it takes a few years to get a credit score in the 700-range simply due to this component, but even if you’ve only had credit 6-12 months you can get a score in the high 600’s if you make payments on-time and keep your credit card balances low. Credit mix and New Credit (10% each) – having varying types of credit helps a little such as an auto loan, credit card, and student loan. Having too many of one type can drag your scores down a little. New lines of credit are always a problem and constantly applying for new lines of credit will drag your scores down. Ultimately, if you’re able to make payments on time and keep credit card balances low, you’re likely to have very good credit score. There is no minimum credit score requirement for a USDA Loan and you can possibly get approved for the loan with a 620, 600 or even a 580 credit score. Another great benefit is that the USDA Loan Limits are exceptionally flexible, meaning you can often qualify for as much as your debt-to-income ratio and income limits allow. That said, the lower your scores, the greater a borrower’s compensating factors must be. As mentioned earlier, longevity on the job and particularly having a decent amount of reserves go a long way. Additionally, to get a manually underwritten USDA Loan approved, there needs to be some good explanations as to why you have lower credit. Valid explanations may include going through a divorce, medical issues, or getting laid off a while ago. If you’ve recovered (12 months removed from whatever credit issues you’ve had) from those events, then it’s possible to get a USDA Loan approved even if you had lower credit. Know that the underwriter may ask you to prove the financial hardship you incurred though, so it’s always important to be accurate and truthful when applying for a mortgage. As mentioned before though, the ideal range is a credit score of 640 or above as that is what it takes to qualify for the automated underwriting system (GUS). Note: even if you qualify for the automated underwriting system, a real underwriter still reviews everything to make sure all USDA guidelines are met.